The caribbean island of Puerto Rico is a natural paradise, and of course, as you would expect from a tropical island, offers some of the worlds finest beaches. Most of them are within an hour driving distance from the capital, San Juan. I have visited all of them – and in this blog article I put up some pictures and directions for the north shore between Arecibo and Fajardo. Starting in the very east – in Fajardo – the very highlight is to go on a day tour to the small companion island Culebra (see blog article). 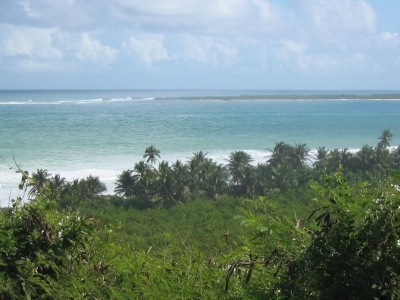 Culebras Flamenco Beach is the number one beach within Puerto Rico, and rated one of the best worldwide! We stay on the main island today, and right in Fajardo we find the luxury hotel called El Conquistador, which has an own private island only for hotel guests. Very amazing, very exclusive. Also in Fajardo we can find the National Park “Las Cabezas”, a natural reserve with mangrove forests and a very nice coastline. Guided tours are available and very much recommended, as this is the only way to visit this unique natural gem. Within the area of the reserve there is also a very nice lighthouse. A must-do in Las Cabezas is a night tour by the bioluminescent bay, which is for me one of the world wonders. You can take these tours from the harbor in Fajardo, but be aware to book ahead! 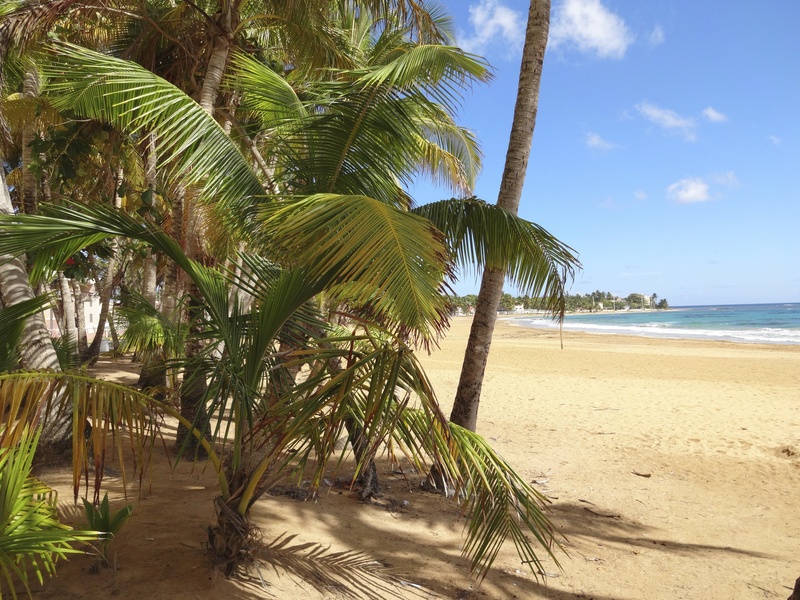 Only a few miles west of Fajardo, in Luquillo, a famous beach for locals is called Playa Azul (Blue Beach). You might be the only one on this wide, sandy beach that seems right out of a holiday postcard. Very relaxing place, but beware of pickpockets and thieves here, especially during the quiet hours! Going farther to the east, we come to a place called Coco Beach, right before Rio Grande. This place is now entirely owned by the billionaire Donald Trump, who has built a multimillion-dollar luxury golf resort, destroying nature on this beautiful spot of land. 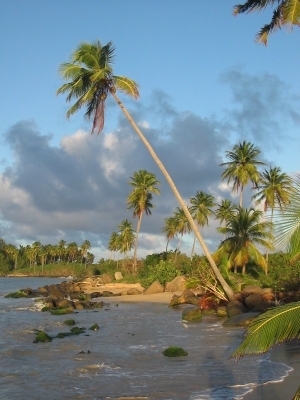 A small yet beautiful residential area (Urbanización Coco Beach) is the only thing left from its natural roots. But, of course, the beaches here are stunning, but they are only accessible to hotel guests and residents. Near the center of San Juan (Puerto Rico’s Capital) there is a long-stretched beach with all the large nice hotels, called Condado. This beach is developed, you will find a lot of tourist services such as water sports and restaurants. All the beautiful people gather here – this place reminds me a bit of Miami Beach! Passing San Juan to go further west, we pass the Bacardí rum factory and come to Arecibo, home of the famous Radio Telescope that is used to search for extraterrestrial life (ETSI Project) and has also been part of the James Bond movie Goldeneye. 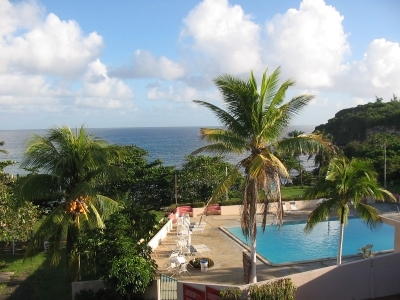 Adjacent to Arecibo there is a nice small area called Camuy, with a quiet yet beautiful beach. I can recommend the Parador hotel for good quality and cost-efficient accomodation. Going farther to the west, in Isabela and Aguadilla, there are also plenty of very nice beaches – the difficult task here is to choose!